Curlfest is getting bigger and better every year! I heard about Curlfest so many times on Instagram and social media that it caught my attention. I got curious and decided to fly to New York City to take a sneak peek at the picnic in person. After all, it was an opportunity to experience the real thing. On Friday, I flew 4 hours from Austin, TX to spend the weekend in the Big Apple City and attend the Curlfest picnic. On Saturday, I got to the park around 2 pm. Thinking about getting there early in the afternoon, there was already a big crowd at the entrance! There was a long waiting line to get in, but I can't complain, I had a free admission ticket. With no doubt, this day was way more than just hair, it is a strong statement and a celebration of beauty and art. 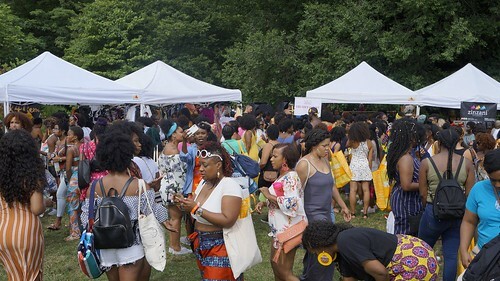 The picnic brought tens of thousands of women together in the Park for Curlfest, from big fros to beautiful braids and locs. 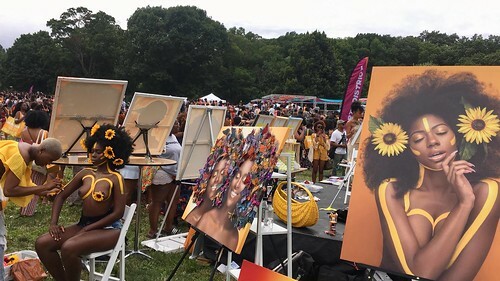 At this 2018 festival, the tradition of theme remained the same: Embracing the black beauty and natural hair. The number of women attending the event this afternoon testifies to the power of sisterhood. You can feel a positive energy and the strong bond between the women. 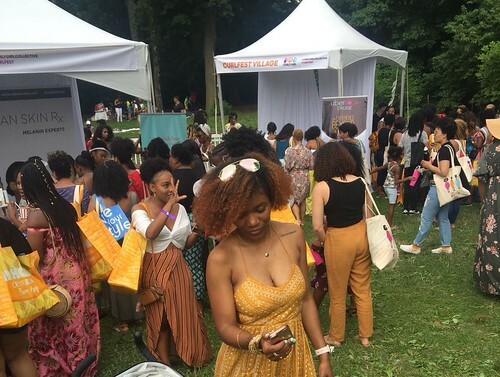 The place was a garden of curls, braids, locs and afros by visitors from every city. I spent a beautiful afternoon in Prospect Park this Saturday. 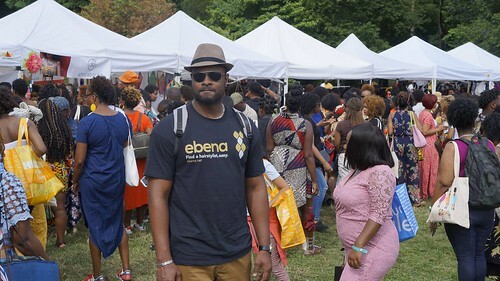 With no doubt, Curlfest is getting the world’s newest and largest natural hair festival. I left the park around 8 pm after a light rain started. 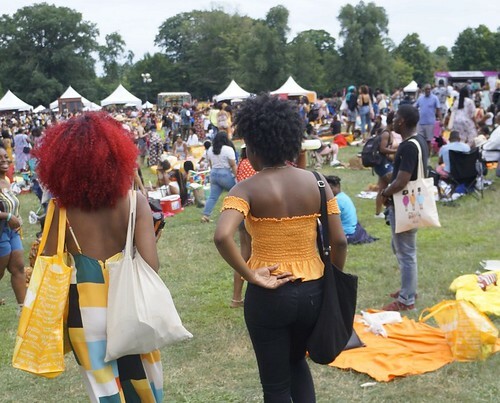 Prospect Park was packed with a beautiful crowd, fashion vendors and influencers. I also heard of some public figures that were present such as rapper Ace Hood, Brooklyn Borough President Eric L. Adams, and writer Michaela Angela Davis. See you in at the 2019 edition!